At our Ashbourne premises, we have a fully-staffed product development department with “D and 3D CAD specialists and a rapid prototyping facility to bring your custom plastic extrusion designs to fruition. Once we have agreed to make a plastic extruder for your bespoke product, our dedicated NPD department takes complete ownership, managing each step in the design and manufacturing plastic extrusion process. We work with you until you are satisfied with and have signed off a plastic extruder production sample. 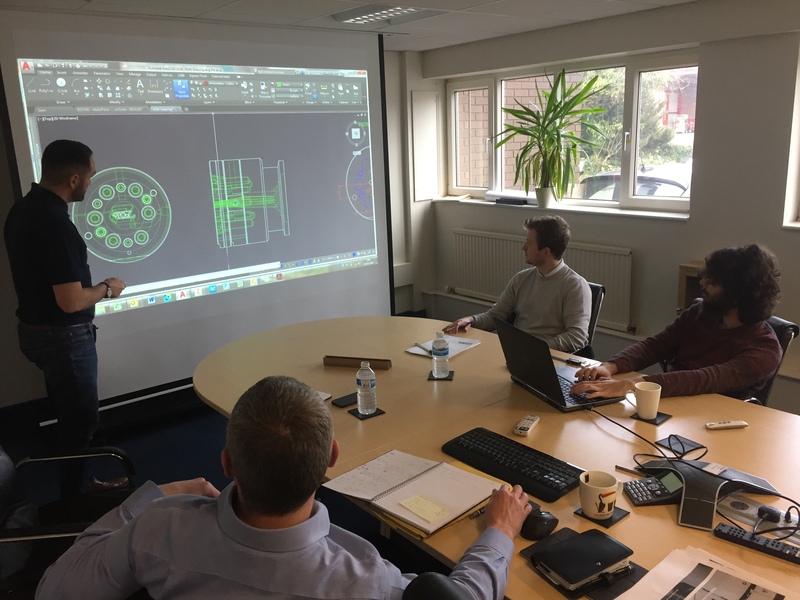 Having on-site 2D, 3D and CAD prototyping capability means our specialist design and engineering teams will work cohesively with you to delivery fully integrated design solutions for your plastic extrusion profiles. Nenplas has made significant investments to our tool room to ensure it is a world class facility that allows us to produce exceptional PVC extrusion profiles. Our large, newly-built and modern tool room is fitted with the relevant tool-making equipment and more recently, we have doubled the number of wire eroders that we keep on site. Our bespoke tooling is designed and manufactured by in-house teams, in a state of the art tooling room, and our specialist toolmakers focus on delivering high-quality bespoke tools at competitive lead- times. A team largely built from within and on an active apprenticeship program for tool makers where graduates now run whole production lines. One feature that makes us unique at Nenplas is our ability to exact colour match plastic extrusions in our on-site compounding lab. Our in-house PVC compounding plant was a strategic decision made a number of years ago, with aim of offering the greatest PVC extrusion services to our customers. It provides customers with ultimate flexibility and fast turnaround on small or high volume material batch quantities, as well as the capacity to colour match plastic extrusion designs to any RAL, Pantone or visual colour reference. 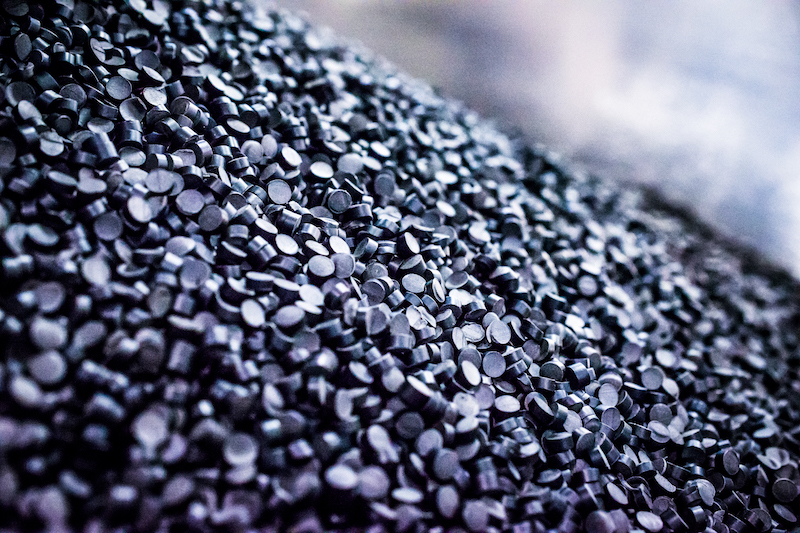 Whilst we can manufacture custom extrusions in any material that you require, we also have the ability to offer unique formulations. We have a team of industry specialists who will take care of all of your plastic extrusion requirements from your initial contact onwards. From sales through to design, manufacturing to supply chain, our dedicated teams work closely with you at all stages of the design and extrusion manufacturing process to ensure delivery on time & on cost. Right from the start of your relationship with Nenplas, a member of this team will become your account manager, supported day to day by our sales order processing department. We have manufactured hundreds of bespoke plastic extrusion profiles that have been designed by our in-house engineers to solve a variety of our customers extruder needs. With our in-house tool room, we are able to work with our clients to completely modify plastic extruder designs and tooling to reach the perfect solution for our customers. Our custom extruder solutions have been used in a wide range of industrial markets including: refrigeration, packaging, trains, and seating, air management, lighting, safety systems, electrical systems, automotive and many more. We manufacture a wide range of glazing seals, thermal breaks, pressure plates and bespoke sections used for doors, windows and glazing systems in commercial and domestic applications. Nenplas have worked with a number of conservatory roof and roof light systems manufacturers to develop bespoke solutions for capping and other extrusion profiles. We manufacture a wide range of plastic extrusion profiles that are used in construction projects including roofing, door and windows, fencing, insulation, foundations, ventilation, flat roofing and many others.Our Masterbead range suits all requirements for rendering, plastering, skim coating and is a cost effective alternative to stainless steel beads. We also have a range of plastic extruder designs for the hygienic wall cladding sector which can be colour matched to complement any board finish. Our knowledge of the caravan sector is extensive. Working alongside customers in the touring, motorhome and holiday home sectors, we endeavour to provide precise solutions to their PVC extrusion needs. We’ve manufactured extrusion profiles for leading caravan manufacturers for many years and understand all the needs and specifications of the sector. We supply a range of traditional 2-part D moulds, H sections, edging strips, cornices, skirting and door surrounds along with many other essential extruder profiles. We also work with manufacturers to design custom plastic extrusion solutions many of which are cut, mitred, drilled, kitted etc. here at Nenplas ready for the customer to fit on their production line. We have had a presence in the furniture sphere for a number of years, with experience in supplying extruded plastic profiles such as H sections, F sections and a wide variety of bespoke decorative and protective trims with woodgrain and metallic finishes. These extrusion profiles are used in the kitchen, bedroom and bathroom markets and these are specified to add value to and enhance furniture products leading to a premium pricing. Our experience in shop fitting goes right back to our earliest days of manufacture. Consequently, we are able to offer a comprehensive range of PVC and aluminium extrusion profiles including slat wall inserts, card rack, angles, T-barbs, ticket rails, channels and other related sections. Our on-site colour matching service means we can accommodate and manufacture extrusion profiles in wide range of colours and foiled finishes to suit corporate branding within a shop re-fit.